As my Facebook feed fills up with graduation photos this year, I’ve become a bit nostalgic for my own graduations roughly 22 and 26 years ago. (Eeek!) Chalk it up to getting older, but even my somewhat angst-ridden, John Hughes high school years are starting to look a little rosier in the rearview mirror. And so y’all can re-live those magic, AquaNet years with me, I dug up a little video footage from my 1989 high school graduation. Yes, that’s really me. And no, I didn’t know a damn thing. 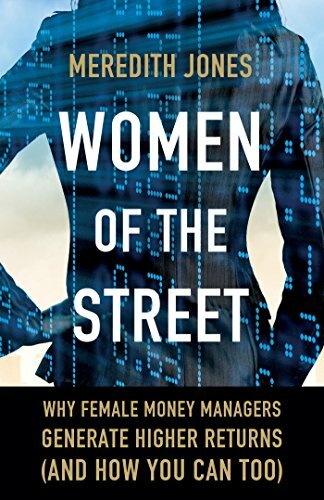 I’ve been doing a lot of publicity for my book Women of The Street, and interviewers almost inevitably ask the question: “What advice do you have for women starting out in investing today?” And as I struggle to offer some morsel of wisdom, I have to wonder, knowing what I know now, what advice would I offer that big-haired girl in the blue cap & gown? My best piece of advice to my young self is this: “Own what you know.” I don’t know everything. I’m painfully aware that that there are literally billions of people on the planet that know things I do not know and likely will never know. But as I embarked on my career in finance, and even well into my second decade in the industry, I was hesitant to be confident in what I did know and the skills I did have. I worried about being “found out.” I thought about puking into the potted palms onstage at every speaking engagement. I did not accept that maybe I knew a few things, too. Looking back, I would definitely give my younger self a dose of confidence, along with some better hair products. Being a researcher, I decided to pose the same question to a group of women in investments in order to get more good advice for the future women of finance. I figured these money managers, marketers, service providers, investors and other industry insiders could definitely shed additional light on the topic. Their advice broadly fell into the following categories: Investigate, Take Risks, Communicate, & Advocate. For those women now embarking on a career in finance, or for anyone looking for good investment industry career guidance, I encourage you to embrace their advice. Good luck to all graduates, and all of us still enrolled in the School of Life!